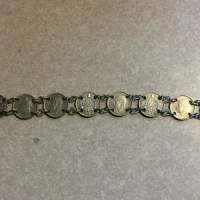 Believe it or not, I found this three pence bracelet in the front yard of my 1926 farmhouse in Iowa! 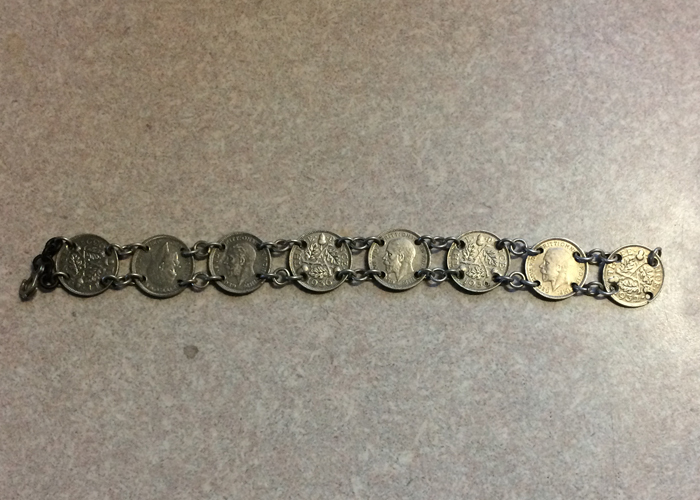 Coins range in year from the early 30s to the early 40s, leading me to believe that this was a war time souvenir that a soldier brought back with them. Found with Garrett AT Pro with NEL Tornado coil.